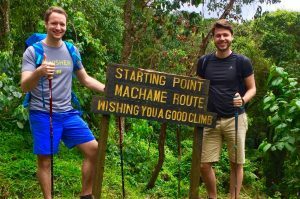 Machame Route, also called “Whiskey Route”, is one of the most scenic and varied routes up to Uhuru Peak and is therefore very popular. Due to its altitude profile, the scenically very varied Machame Route offers good possibilities to adapt to the altitude. Thus, the chances of a successfully reaching the top of Kilimanjaro are above average. You can choose between a shorter (6 days) and longer (7 days) ascent. 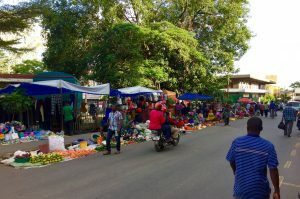 You will spend a total of 8 or 9 days in Tanzania, respectively. 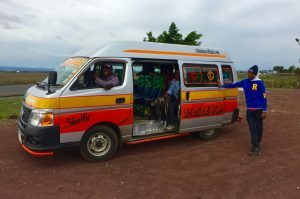 With us you can book Machame Route starting at 1,760 USD per person. For an individual offer simply send us your request. 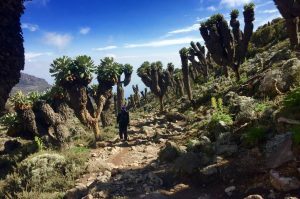 Along Machame Route you have excellent views of the country and the neighboring mountains. 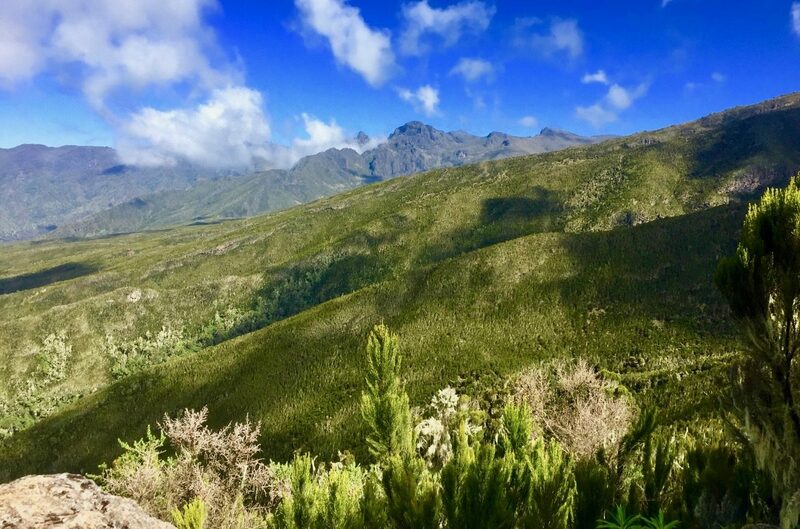 It is one of the most popular routes, but in comparison to other routes it is a bit more strenuous to walk and sometimes contains steeper rocky passages. You take different routes for ascent and descent. On the campsites along the route you sleep in tents. All campsites are in direct radio contact with the management of the national park. The number of visitors on this route is moderate. After a big breakfast at your lodge, your guide picks you up. He checks the luggage once more before you drive together to Machame Gate, the southwestern entrance of Kilimanjaro National Park. Luggage not required during the climb can be stored at the lodge free of charge. 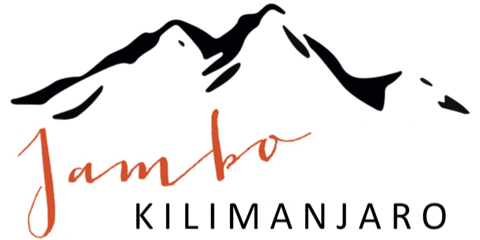 For an overview of the topic “luggage on Mount Kilimanjaro” look here or here. After an hour’s drive, you will reach Machame Gate. There, final preparations are made, such as baggage loading and registration in the national park, before you start the first leg of your hike. At the beginning you walk on paths through dense rainforest. You will discover a variety of plant species and, if you are lucky, see colobus monkeys high up in the canopy. During the hike you take short breaks from time to time. After about 2-3 hours you pause for a little longer for your lunch break. Shortly before arriving at Machame Camp, the dense rainforest begins to thin out, and you reach the beginning of the moorland. After about 5-6 hours on foot you finally reach the first camp of your trip, the Machame Camp, in the late afternoon. The remaining time until dinner is at your free disposal. 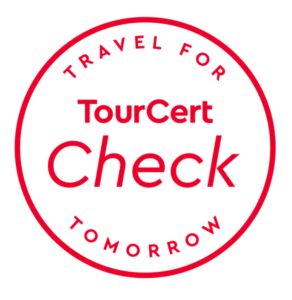 After dinner, your guide will give you tips regarding clothing for the night as well as regarding clothes to wear and day luggage to pack for the day ahead. 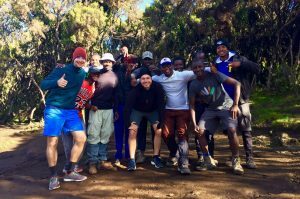 At around 9 pm the first day at Kilimanjaro ends and you spend the first night in tents. 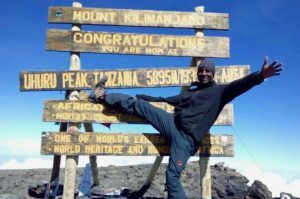 For a detailed report on the hike along Machame Route just have a look here. Your day begins with a big breakfast, weather permitting, outside your tent. At 8:30 to 9:00 am, your hike will start in the direction of Shira Camp. After a short while you leave the rainforest and tall trees completely behind you. In clear weather you have great views. During the hike you will take shorter breaks and lunch will take place during the stage. After your arrival at Shira Camp, there will be an afternoon snack. 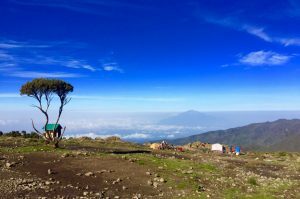 From the camp you can see Mount Shira and, with a bit of luck, Mount Meru. Depending on your constitution, you walk a few meters higher on the same day to better adjust to the altitude. If the weather is nice you will see an impressive sunset. After dinner you spend the second night on the mountain in tents. After breakfast, and soon after leaving the camp, a path leads up steeply the so-called Barranco Wall. Once you arrive at the top you have outstanding views. From there, the path continues along the southern slope of Kibo. Alpine arid landscape is characteristic for this region, and boulders of volcanic origin line the way. As before, you take short breaks every now and then. Shortly before reaching the next camp, the path leads several hundred meters downhill, and then back up again. After about 3 hours you will reach Karanga Camp. There you also have lunch. If you choose the 7-day hike, you spend the rest of the day and your fourth night in this camp. 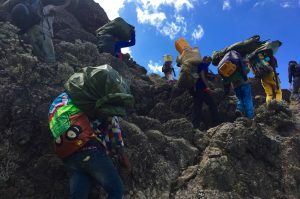 Otherwise, you continue the same day to Barafu Base Camp (due to the significantly better adaptation to the altitude, and thus higher chances of reaching the summit, however, we recommend the longer of the two tours). 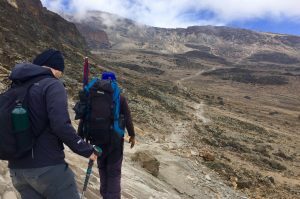 If you have chosen the longer of the two tours, you will begin your walk to Barafu Base Camp as usual after breakfast (otherwise you will only stop at Karanga Camp). As on the previous day, today’s hike is shorter and only takes about 3-4 hours. The route runs, like the previous day, through alpine desert with light ups and downs. Only the last few meters before reaching Barafu Camp, you walk steeply uphill. You arrive at the base camp already around noon, and have the rest of the day at your free disposal (we recommend you take it easy and relax). In addition to lunch and afternoon snack, there is an early dinner, as your fifth night is very short and you start the summit climb in the middle of the night. We plan each trip individually, according to your wishes. 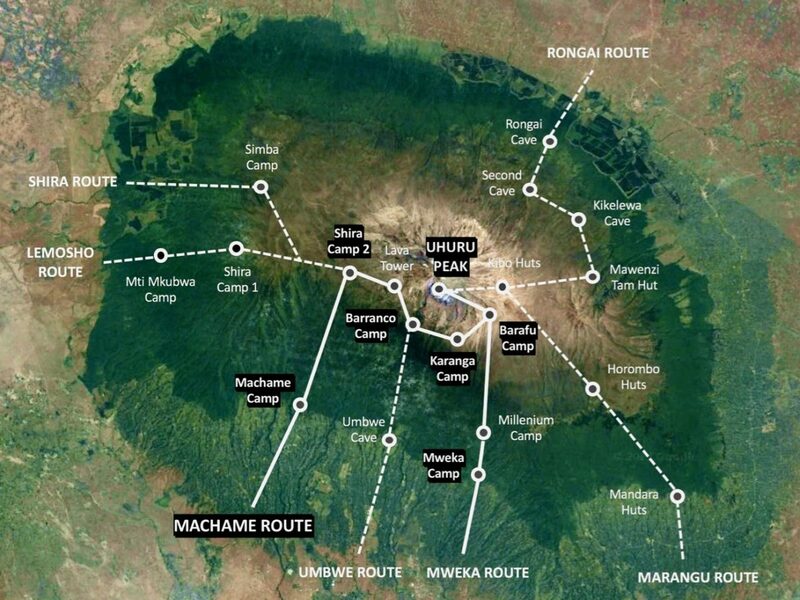 Send us your request for the Machame Route online free of charge and without obligation. We will contact you with a personal offer.